Have you ever opened your front door and no one was there? But, you know you heard knocking. Who’s that knocking on your house? It might have been a woodpecker. 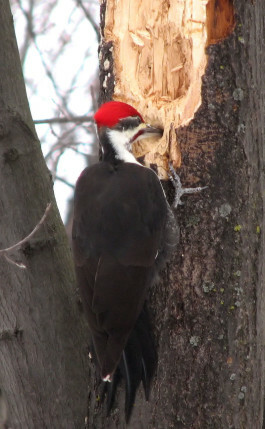 Join us for this indoor program that will set you on your way to becoming a woodpecker expert. Learn the woodpecker’s role in our back yard ecosystem, how to identify the basic species and their physical characteristics, and how to attract these fascinating birds to your feeders. Their acrobatic antics will add some pizazz to your feeders…and, by the way, we will also tell you how to stop prank door knocks.